*Please note you have to provide your own CNC controller. Machine comes with 9 pin subD connector. Stable grey cast iron machine base. Compound table of high-strength aluminium (surface compacted). All axes are play-free and fitted with adjustable dovetail slides. Die-cast aluminium headstock with balanced DC special motor. Continuously variable speed control (full-wave electronics). Tool holding through triple slit MICROMOT steel collets (1 each of 1.0 - 1.5 - 2.0 - 2.4 - 3.0 and 3.2mm). Table fitted with 3 T-slots of the MICROMOT standard (12 x 6 x 5mm). Step motor and reference point switch with 2.2m connecting cable and one each standard plug (SUB-D 9POLE) for X, Y and Z axis. 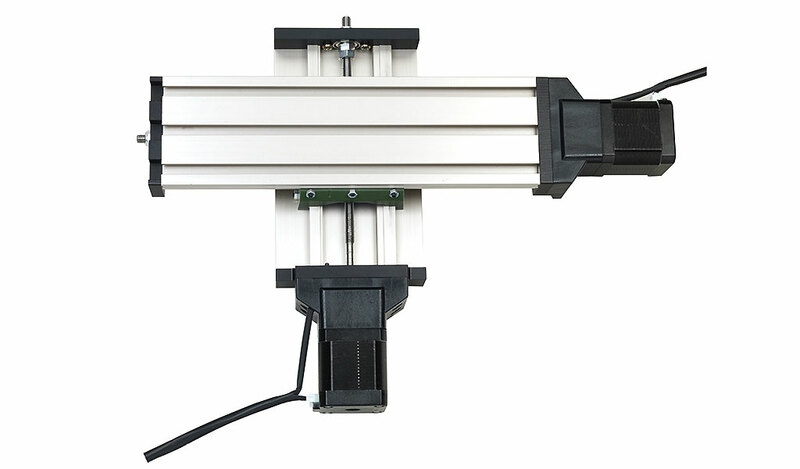 Without CNC control unit, without CNC software. 220 - 240V. 100W. 50/60Hz. Spindle speeds 5,000 - 20,000rpm. Table 200 x 70mm. Travel distances X (transverse) 130mm, Y (lengthwise) 70mm, Z (high) 70mm. Resolution of step motors 0.005mm. Total height 370 mm. Weight approx. 7 kg. The depicted clamping jaws, milling bit and work pieces are not included in the scope of delivery. With 2 step motors for the axes X (transverse) and Y (lengthwise). 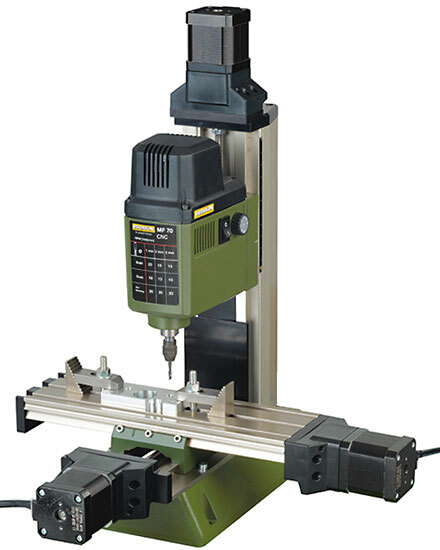 For other technical data, see the description of the MICRO Miller MF 70/CNC-ready. Click the button below to add the MICRO Miller MF 70/CNC-ready. to your wish list.